Questions on Computer Awareness have recently been introduced in most Bank Recruitment exams. To help you prepare better for the Bank exams we present to you the revision notes on Computer Awareness. The earlier computers, which were massive in size, were based on vacuum tubes. Early computing machines, like the ENIAC, were actually meant to assist the armed forces. The printers in pre-1950s were punch cards. An improvement on the ENIAC, which pioneered ‘stored program’, was made possible with the help of the mathe-matician John von Neumann. Before the 1950s, computers were mostly owned by universities and research labs. Famous people, associated with the ENIAC, EDVAC, UNIVAC computers are Eckert & Mauchly. IBM was provided software for PCs by Microsoft. Time-sharing, teletyping, were associated with mainframe computers. The term ‘micro’ (extremely small) denotes 10–6 m.
The Harvard student, who chose to write computer programs and dropped studies was Bill Gates. C++, is a computer language. The process of eliminating pro-gramming faults is called debugging. Starting up on operating system is called booting. A program used to browse the web is called browser. An error in software designing which can even cause a computer to crash is called bug. Click and double-click are achieved using the mouse. 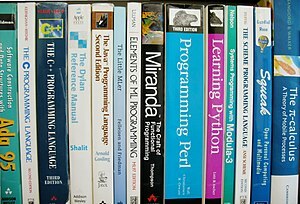 Java, C, ForTran, Pascal and BASIC are computer programming languages. The device which sends computer data using a phone line is called MODEM. ‘Worm’ and ‘virus’ are actually programs. A ‘file’ is a unit of information. A megabyte has 106 (million) bytes. A small, single-site network is called LAN. A processor that collects several data and sends them over a single line is called bridge. ‘Nano’ stands for one billionth part. The number of bit patterns using an n-bit code is 2n. The part of a computer that works with the data/programs is called CPU. To convert a binary number to a decimal, we have to express it in power of 2.
www stands for world wide web. Mathematics employed in compu-ters is called Boolean algebra. A collection of 8 bits is called byte. A website containing periodic posts is called blog. While cutting and pasting, the cut item is temporarily stored in the clipboard. The unwanted or non-requested e-mails are called “spam”. A computer framed to give various network services is called server.